One of the central sources of dismay for precious metals traders has been the gold and silver markets’ susceptibility to manipulation at the hands of central banks, Wall St. banks, and otherwise. Oceans of paper money is used to gain access to exponentially more giant pools of additional paper money, that is then used to exert influence on the price of silver and gold. Obscuring the truth is not a strategy that works in the end. True demand is simply bottled up, and the ability to accrue physical silver and gold positions at artificially low prices, as a result of this manipulation, will end up having been a gift. All of this is jockeying for position before the reins come off. They will. These markets won’t be held down forever. Take advantage while you can. Gold rocketed to nearly $1,365 last Wednesday in New York, which is well above the $1,350 that Michael Oliver suggests is when technical price watchers will finally start to head into the yellow metal and related investments like gold stocks. But alas the banking cartel had other ideas and exercised a 100-tonne “pretend gold” smackdown in the gold paper futures markets starting at about noon that day, just to make sure the greatest competition in the world to the dollar didn’t start to lead to a loss of confidence. This of course is nothing new. The Gold Anti Trust Action Committee (GATA) has been documenting paper market manipulation of the gold markets now for decades. Isn’t it interesting that more virtual gold trades in one day on the LBMA than is mined in an entire year. Whatever it takes, including endless wars to try to keep the petrodollar alive and trillions of dollars spent on blood and treasury. I believe we are on the cusp of a major breakout in the price of gold. 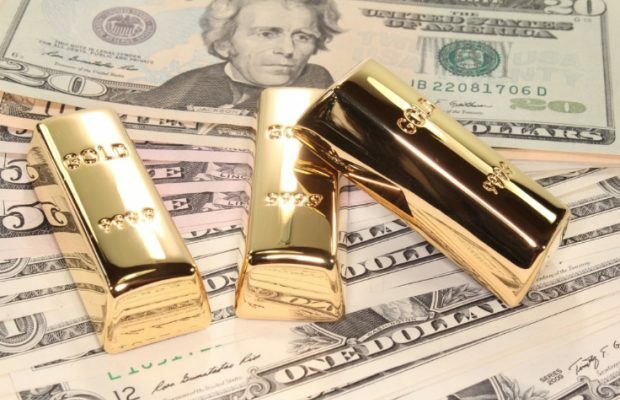 It is taking more and more paper gold to hold it down and if/when those who buy paper gold, thinking that will protect them as well as the real thing, find out that isn’t true we may see a run on physical gold that could send the yellow metal to prices undreamed of by the most bullish of gold bulls. Michael’s initial target once we get through $1,350 at the end of this month or a month in the near future is $1,700.